With 2017 and its trends (mostly) behind us, let’s look at what’s hot for renovations and new home construction in 2018. It seems that every New Year brings with it a new set of trends that help lead the tastes of homeowners across the nation, and 2018 is no different. From embracing the open concept design to more tactile textures with interiors – we’ve got the top 10 trends for 2018 right here. Let’s begin with a bold and decadent trend for 2018 – copper gutters! Want to keep it classy? Have copper gutters installed. There is definitely a premium to pay for this upgrade, but homeowners love the class, style, uniqueness and durability of copper adorning their homes. Whether it’s new construction or a renovation project, installing copper gutters adds drama to an area of the home that rarely gets much attention. Everyone can embrace saving a few dollars here and there, especially when it comes to utilities. The energy efficient focus in 2018 will extend to everything from appliances to materials used to build an actual home. Many homeowners are becoming more comfortable with the idea of “green” living, which means they want a layout that fits their purpose, yet is sustainable and uses natural light and renewable energy sources more readily. They’re also installing “Low-E” windows as well as low flow toilets to conserve on water consumption. Solar power was looking to be a hot trend in 2018, and it might still be for those who have already imported their solar panels, but a huge tariff on cost-effective panels coming from China might put the brakes on this trend, but it’s political, so don’t expect a quick resolution. This is an area that has been debated as of late. While the open concept has really taken hold in the kitchen, some are finding the because there is no confinement to the aromas coming from the oven and stovetop, it’s a nuisance. For others, this is simply part of the togetherness feel that an open concept design embraces. 2018 will see the continuation of that trend to open up once closed-in spaces. Some refer to this as “white is the new black” in reference to how popular black has been in the kitchen in recent years. One of the reasons white is taking over is that there are so many bold colors options that work with white, really allowing the colors to pop. Maybe it’s an offshoot of the popularity of tiny homes, or maybe it’s the fact that Baby Boomers are looking to downsize as they enter retirement – the need for smaller homes is on the rise. Even the youngest generation of homeowners is focused on a smaller, more practical footprint. Minimalism could also fit in with this concept of smaller homes. This would involve one or two pieces of furniture in rooms, with the addition of simpler lines and colors, as well as accessories that are downsized. In some ways, outdoor living space is simply an expansion of the indoor living area. Most of the comforts of the indoors can be moved to the deck and patio areas of the home. It’s an area that doesn’t have to be heated or cooled – you simply enjoy entertaining or relaxing in comfortable surroundings outside. More homes are going to be fitted with excellent porches, patios and decks in 2018. A trend attached to more outdoor living space involves “upcycling,” which is the reuse of rustic materials, such as wood pallets for furniture, which should be making its way to more outdoor living spaces in 2018. The “upcycling” trend is also coming to interior design. If you’ve noticed a slight uptick in reclaimed wood making its way to interiors of more homes, you’re really going to notice it in 2018. Tastes are leaning toward more textured wall treatments, which could include everything from velvet to wood to brick surfaces that offer texture that has been missing on interior walls for years. The LA Times even jumped on this, featuring an article about how interior designers are noticing a need for more plush fabrics and “things to be very tactile.” This includes velvet being a more in-demand product than it has been in years. Automation is huge in practically every industry today, and it’s also witnessed a ton of attention in the home building and renovation industry. You’ve likely already considered a Nest thermostat for your home by now, and that’s just the beginning. Appliances are now entering the “smart” game as the internet of things establishes a firm foothold. Did wainscoting really ever go away? It certainly never did in the plush Hampton estates whose owners relish its luxurious look and feel. Comprised of wall panels, a chair or top molding and a baseboard molding. The history of wainscoting is such that you’re embracing a classic trend, yet it’s becoming more in demand in 2018, which means you’re also embracing a “modern” design element. With many different design elements in wainscoting for any room, you’ve got your choice of style, which means you can personalize your approach. Walk-in showers are nothing new, but there is a huge move toward barrier-free walk-in showers that will almost definitely explode in 2018. It completely modernizes a bathroom that might have been for decades crowded with a cumbersome tub/shower arrangement, the tub portion of which is seldom if ever used for bathing. The walk-in design means there is no barrier stepping in and out of the shower, and it’s also low maintenance, which is a bonus for today’s busy families. There are fewer parts to clean and no corners where mold can get caught up and is difficult to remove. So, think about future-proofing your bathroom with a walk-in, barrier-free shower. 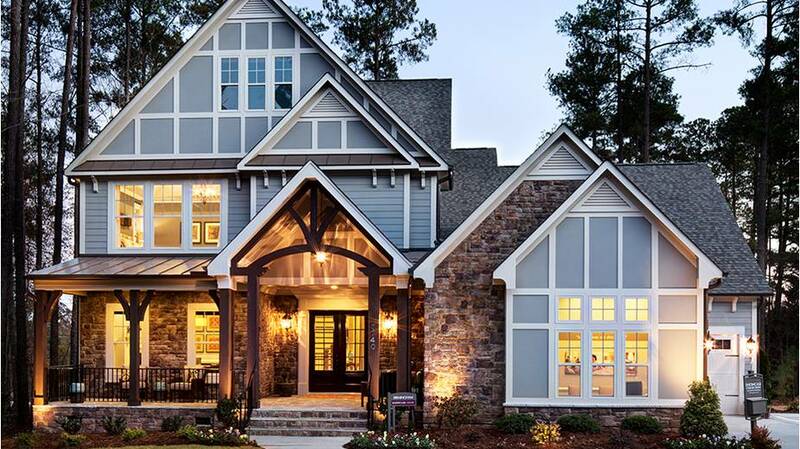 Are you contemplating building a new home? At New Concept 180, we are equipped with people who think about home design all day everyday. It’s not only their career; it’s their passion. Furthermore, with a design-build approach to new home construction and whole home renovation, we have everyone we need on one team, so there is no miscommunication and no delays in your construction project. We have our finger on the pulse of what’s hot and what’s not, but we’re also excellent listeners and assist our clients in helping their vision become a reality.